Here's a newspaper article and picture from a local English newspaper, around 1960. 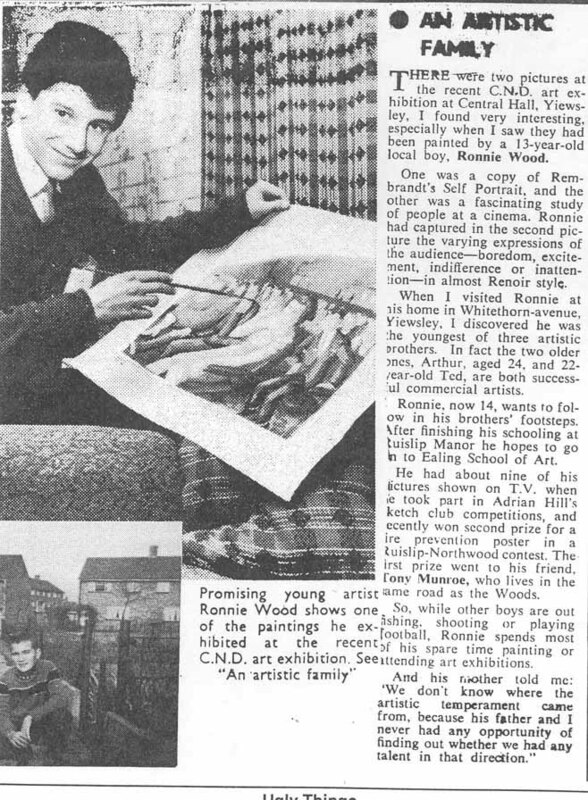 It shows a young Ron Wood, age 13, displaying the original painting that won him a prize in a local art show. Very few Ron Wood fans realize he's been painting as long as he's been playing music, but a picture is worth a thousand words! The easy-to-use Order Form to purchase the Art.